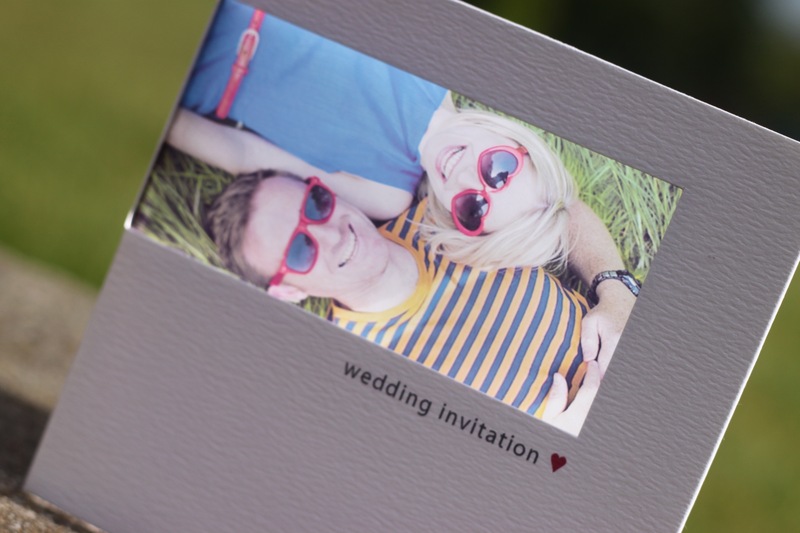 The photograph was taken by the amazing wedding photographer Ines at Ines B Photography.We thought it was great fun so we added a red heart at the end of the wording just to match their sunglasses and it worked perfectly. We have some samples of these if you would like to see one – just drop us a line and we will send you one. We designed matching information sheets and rsvp cards linking the small heart on each element. The overall effect is ever so cool!